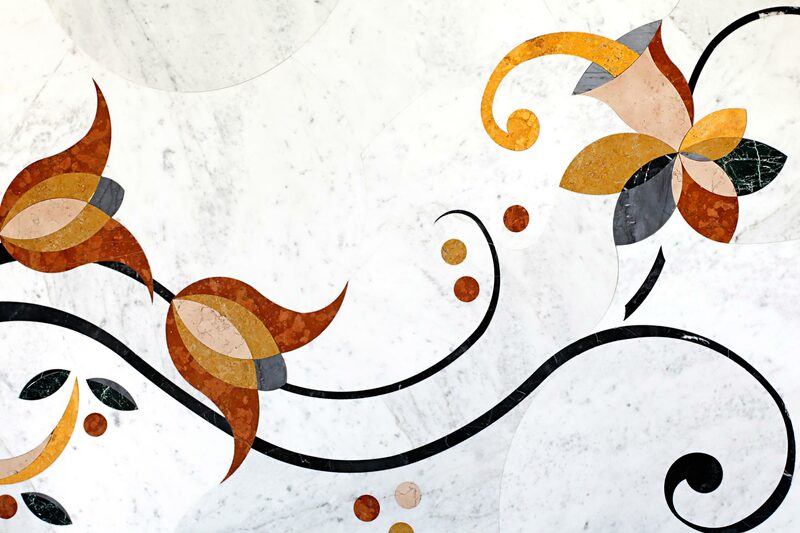 Marble inlay is considered one of the most refined and prestigious techniques of ornamentation, both for the materials used (the rarest and most precious hard stones and marbles) and because of the difficulty of production. 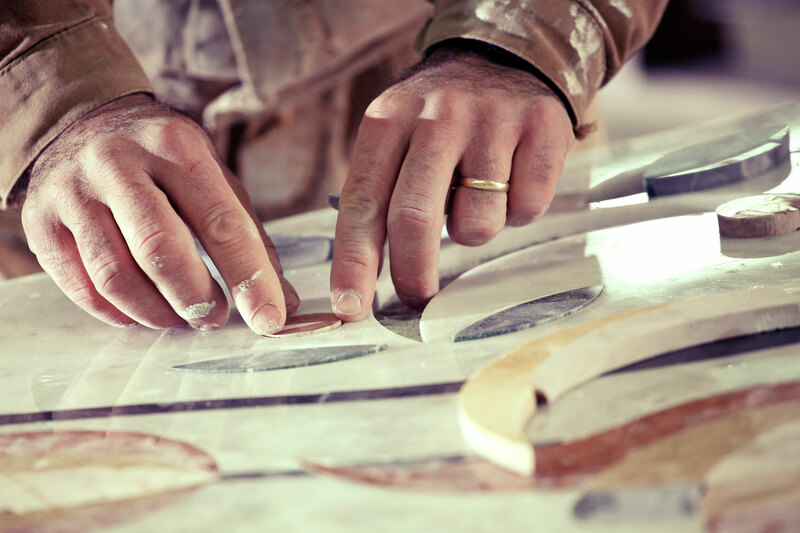 Marble is cut into very thin sheets, the elements are then shaped with high precision according to an initial design and fixed with adhesive on to a rigid support. 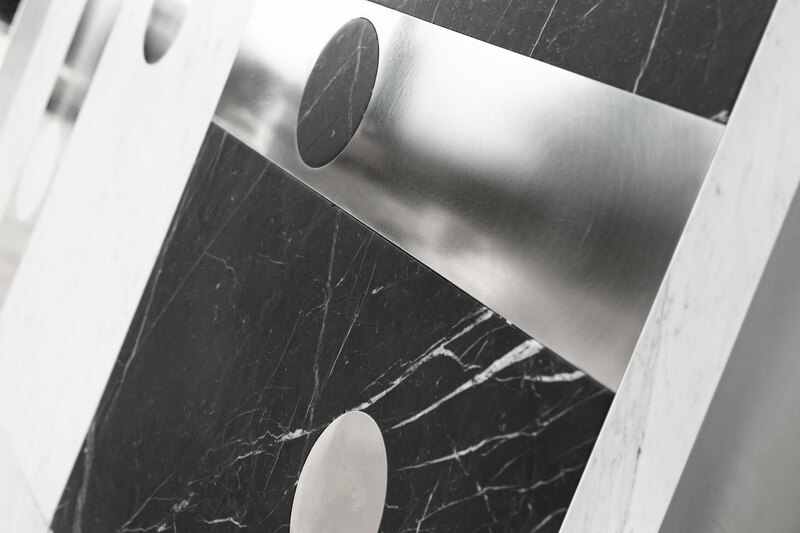 Exploiting the different marble qualities we obtain the desired chromatic effects. 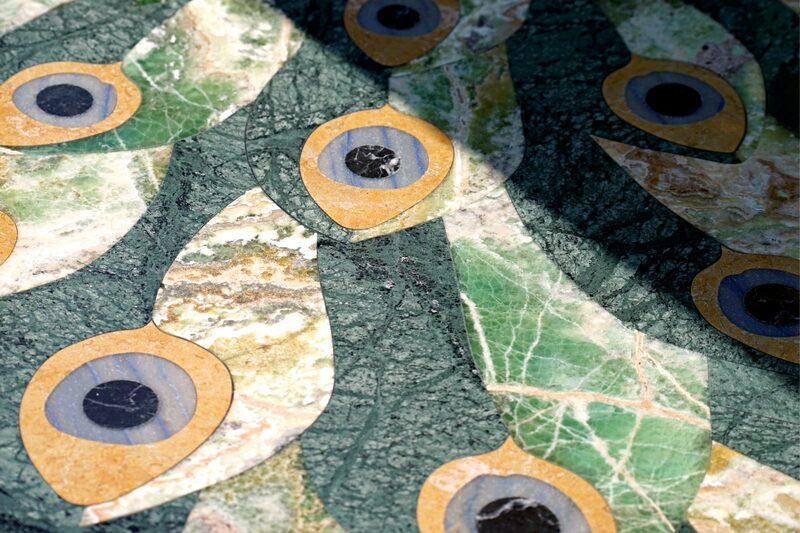 The resulting work is then polished to enhance the colour and the sheen of the marble.